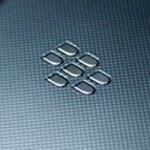 Meet the BlackBerry Z10, RIM departing from four-digit nomenclature? Dressed in black and white, it looks like the BlackBerry L-Series (aka London) will be leading the way of a whole new naming scheme for RIM and BlackBerry devices. Gone will be the familiar four-digit model numbers, and in their place will be a shorter letter-number combination, like the Z10. Some leaked marketing materials show the BlackBerry 10 device which as itself been liberally shown off at just about every opportunity. The source of the leak indicated that the QWERTY N-Series BlackBerry device may be called the X10, but could not confirm. While we wait for BlackBerry 10 to be unveiled next month, what do you think of the new naming scheme? It was probably inevitable, given that the four-digit plan was running out of room to grow, 9900, 9930, and so on. We were also pretty certain that a five-digit naming plan would not be very appealing. I hope this phone rocks, it would be great to see BB back in the spotlight, but for something positive this time around. Will wait to see what they come up with, I just want it in my hands. I want BB10 to succeed, but me thinks it will be webOS all over again. Hurry up already RIM!! I got a 9360 that needs to be replaced. Simple naming will help. Nokia may be having the same problems with the Lumia series if they do not branch out. Liking the looks of those devices. Maybe I am interested again. I'm still not very attached to that design of the London, but hopefully it will grow on me. I'm really excited to see Blackberry's physical keyboard N-series lineup! i'll tell you, nikolas oliver! Love the look of the N BB10 as a replacement for my 9800. Will also have a geek at the Aisto.